Many people dream of just packing up and hitting the road, moving far away from their troubles or just the humdrum routine of everyday life. However, making a long-distance move is a huge life change that requires careful consideration and planning to determine if it's the right path for you. If you make the decision to move away and later realize that you are unhappy there, it can be a very costly mistake to fix. If you need some help determining if a long-distance relocation is the right choice for you, this guide will outline some of the advantages and disadvantages of moving away. Living in the same place year after year can offer a sense of security, but it can also grow mundane. Experiencing new places can help you to gain perspective, grow as an individual, and open your mind to new cultures and attitudes. If you are beginning to feel like you are stuck in a rut or you're getting sick of the same dull routine, moving to a new city or state can offer you a fresh start. Relocating to a new place opens you up to a world of new opportunities. Stagnant career? 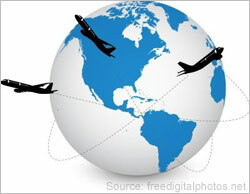 Moving to a new city or state could present you with various new job options and networking connections. You will also get the chance to try new things. Have you always wanted to take up skiing? Surfing? Indulge in exotic ethnic foods? Unexplored regions will offer various new hobbies, leisure activities, foods and nightlife options that you may have always wanted to try--and even more that you never even considered trying! You will have the chance to meet new people and form new relationships--perhaps with individuals unlike those you'd meet in your hometown. Getting out of your comfort zone and immersing yourself in a completely new element can do wonders for self-awareness. You will be forced to become more self-reliant without the safety net of all of your friends and family close by, especially if you are relocating alone. Being surrounded by unfamiliar faces in a city that is foreign to you will only make you braver, stronger, more resilient and more independent. Studies show moving away may actually be good for your health! Mental stagnation caused by the stress of your daily routine can wear you down and cause exhaustion and psychological strain. Starting over in a new place can rejuvenate your mind and body by alleviating whatever mental burdens you have been carrying. Moving to warmer, more temperate climates can also cure the winter blues and remedy certain ailments such as arthritis and respiratory problems. Being forced to haul all of your earthly possessions cross-country will make you re-consider how much you need them. Since moving long-distance can become quite costly if you have a large volume of belongings, it can force you to considerably downsize. Hoarding unnecessary items causes clutter, increases stress, and can be emotionally burdensome. Letting go of things with little utility or importance to you will make you feel lighter, clear-headed, and ready for a new beginning. The hardest part for many people considering a long-distance move is bidding farewell to loved ones. If you have close family and friends in your hometown, it will be difficult to adjust to not having them accessible to you at any time. It may be easier than ever to keep in touch during the age of Facebook and Skype, but there is little substitute for a hug from your mom or a meal with your best pal when you're feeling blue. If you are relocating with children, you will have to consider the impact that the move will have on them. They will have to change schools, leave behind their friends, and quit any extracurricular activities or sports teams they belong to. While they can easily make new friends or get involved in recreation in your new city, leaving behind the familiar in exchange for the alien is often unfathomable for children. They may resist and resent the change, and make the moving process emotionally difficult for the whole family. Moving to a new place can take some getting used to. You may feel withdrawn, alienated and alone in this strange, new place without the comfort of your loved ones nearby. Even if you are only moving a few states away, cultural differences can be drastic. Social norms may be dramatically different than what you are accustomed to in your hometown. You may not have access to your favorite foods and the activities you once enjoyed may not be practical in your new city. If you are moving overseas, the language barrier can be especially overwhelming and frustrating. Moving can be a costly venture--especially long-distance. If you have a large home, a lot of belongings and furniture to transport, and many miles to travel, you could be looking at up to $10,000 in moving costs. There are many moving services to choose from and many methods to make your move more economical, but depending on your budget, packing up and making the trek to a new state just might not be financially feasible. Moving is a stressful experience--there are various tasks involved and a great deal of planning to do in order to successfully execute the move. You have to determine your moving budget, choose your method of relocation, research movers and compare quotes, pack your belongings, transfer medical records, change your address--and the list goes on. Moving long-distance can require even more planning than a local move. You may feel so bogged down by the taxing process that it kills the excitement and anticipation of starting over in a new place. Weather: How will you adjust to the climate in your new home? You may think you'd love to live somewhere that's hot all year long, but if you are used to a moderate climate with four distinct seasons, you may be uncomfortable with 80 degree weather at Christmas. 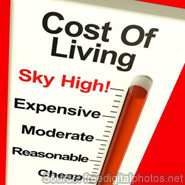 Cost of living: If you are relocating for a job opportunity, take into consideration the cost of living in the new city. You may think you are getting a great salary offer, but if living expenses are much greater there than in your current city, the opportunity may not be so wonderful after all. Job market: You may want to relocate because you can't find a job in your rural hometown, and believe that moving to a big city will increase your opportunities. While it is usually true that urban areas have more career options than rural areas, some cities have better job markets than others. Make sure you choose a city with a flourishing market in your industry so that you don't have a difficult time finding employment. What Are the Most Common Moving Fears?